I’ve changed it! The title, I mean. I am sure nobody actually needs to know how many times an author changes her mind about the titles of the books she’s writing, but I can’t help myself: I get excited and I think my titles are just brilliant. One after another. Every single title (that I end up changing three, four, five times while working on a manuscript) is brilliant at first and gets old very quickly. But this one is really special and I can’t foresee another change. The new title for my work in progress is now Eye of Water, Eye of Fire. It references a spell that I have learned from my mother and that represents the duality you can find in the book’s main characters. I think it is a fitting title for many reasons, and now I am working on a cover that matches it. I hope to be done with some form of that soon. As soon as I teach myself about typography with the help of the public library from my town. The amazing (and crazy-making) thing about self-publishing is the immense control one has over the finished product. I get to choose my own title and my own cover! Do I have all the expertise needed to make such decisions? Probably not. It probably won’t help the book sell better, but it will help make it a rounded, more cohesive product. I think. Oh, before I forget, I also updated my Pinterest boards with images that inspire the atmosphere of this second novel. As I looked through the pictures I realized how similar this is to the world of Ana, the protagonist of Spell of Blindness. The two worlds do intersect even in my head, although they are not the same. There is however another village and another city in this new book. This oscillation between these two very different spaces is still present. 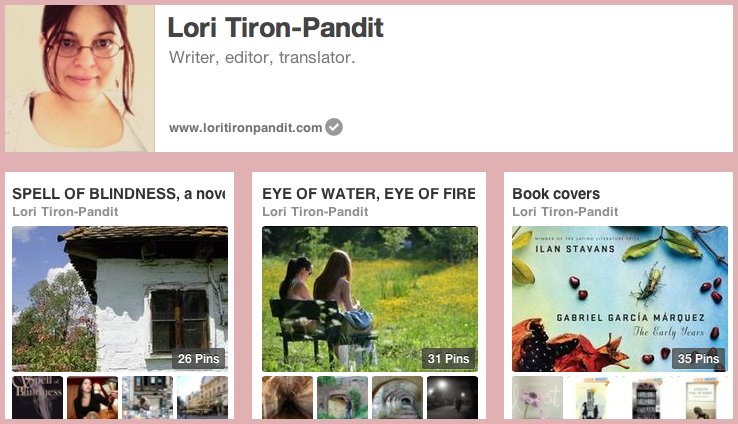 Anyway, check out Pinterest if you’d like to see what I’m talking about. You probably don’t have time for that, though. Pinterest is a heartless time-sucking vampire. It’s probably wiser that you don’t let it catch a taste of your few, hard-earned free moments. I know. My mom is cool. It’s an evil eye spell.